Me ha costado unos días procesarlo, ya no soy parte del equipo de Tetuan Valley. Ha sido un honor para mi poner en orden la Startup School, ordenar lo procesos, planificar nuevas sedes y coordinar a los voluntarios. Pero el proyecto está teniendo problemas económicos para soportar un equipo “tan” grande, así que, mientras las fuentes de ingresos sean tan limitadas toca atajar gastos. Sé lo duro que resulta despedir, darte cuenta que tienes que limitar el tamaño de tu equipo para sobrevivir, evaluar que, a pesar de que se pierde fuerza al reducir el equipo, es la única solución posible mientras no ingreses más. El coste a pagar es reestructurar el equipo y repartir las tareas imprescindibles entre los que se quedan, eliminando o posponiendo las tareas no imprescindibles. No voy a negar que en Tetuan Valley hemos sido muy ambiciosos, queriendo abarcar muchos proyectos con un equipo bien limitado. Tuvimos que hacer una reunión para priorizar objetivos y tareas a mitad del año porque no dábamos abasto. Tocará apretarse más el cinturón ahora que el equipo se reduce, centrar esfuerzos en las actividades principales y maximizar su resultados mientras se buscan nuevas alianzas y fuentes de ingresos. Por mi parte me llevo el aprendizaje de hacer eventos más elaborados, a coordinar agendas y a simplificar para lograr los mínimos necesarios bajo presupuestos ajustados. El salto a Campus Madrid le ha dado mucha más dimensión al proyecto, es genial tener un espacio tan alucinante a nuestro servicio. Me hace reflexionar sobre la oportunidad perdida que ha tenido el Ayuntamiento que no ha logrado lo mismo con Viveros, ni mucho menos con el fallido proyecto de la Catedral de la Innovación (Nave Boetticher). Se me han quedado en el tintero cosas por hacer: poner en marcha nuevas sedes, mejorar la conexión con los alumni, ahora queda en las manos de un equipo más reducido que las pondrá en marcha. Por el momento, sigo ligado al proyecto como antes de se parte del equipo, soy alumni, soy parte de la comunidad y le deseo lo mejor y que siga siendo el proyecto… larga vida a Tetuan Valley. Si tienes espíritu emprendedor, quieres perfilar una idea de negocio y vives en Madrid o Barcelona, el Tetuan Valley Startup School es el lugar ideal para ponerte las pilas y ponerla a prueba en un crash course de 6 semanas entre mediados de octubre y finales de noviembre. AmorOdio, con su proyecto Partitur.es, participó en la segunda edición y no podemos estar mas contentos de como nos puso las cosas claras y ayudo a ponernos el rumbo (además de hacer buenos amigos). Men Business vs Women Business? Is enterpreneuring free from gender influence? Is anything we do everyday free from our own gender effects? On particular cases it is, but statistically talking it cannot be. And is that bad? It is clear that gender stereotypes are dangerous and do not help either women or men, but it is also a fact that there are differences between men and women which go beyond the physical ones. 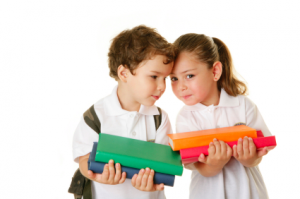 Already at school girls and boys tend to show different preferences on subjects, activities or hobbies. Evidently, not every boy or girl, woman or men, must fit the general descriptions, but in terms of tendencies the female gender is more “people-orientated” and the male gender is more “things-orientated”. 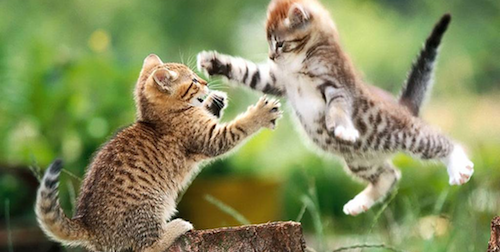 Whether these facts are due to biological facts or to socialization, they exist. And they are repeated on higher levels: technological degrees, as well as Maths or Physics, are mainly chosen by men, while artistic degrees (from languages to History) and “service” ones (Medicine, Teaching, Psychology) are mainly chosen by women. Apart from the fact that there are more women than men studying at university, there is a real trend linked to gender. So, if the differences are there, would it be interesting to take them as an opportunity? This does not mean painting our computers pink (men) or wearing flannel shirts (women). Its implications go far beyond. Businesses have been made by men for a long time, and the male way is now showing not being the best one. New business-making models are now introducing, step by step, features traditionally ascribed to women. New concepts as empathy or emotional intelligence have entered our business culture because they have proved to be useful. Work teams are usually better if there is a variety not only on professional profiles but on personal skills, too. And gender is a huge source of variability. Blending both genders best aspects does not necessarily mean having both men and women working together, but that is probably the easiest way to get it. On an ideal world all of us would have probably developed the best of all human skills and features, so our gender itself would not be important. Until that day comes, if we are sure that it is important to have complementary profiles on our enterpreneuring and work teams, let’s remember an aspect in which we are complementary per se. Gender differences in the application of communication skills, emotional labor, stress-coping and well-being among physicians. This is part of our articles for TetuanValley. When I start the day, I get overwhelmed with all the task I should do to accomplish an efficient working day. Last week I started a technique I recently read about: Pomodoro. 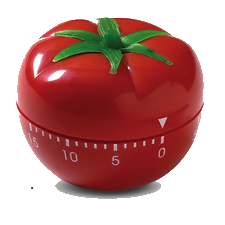 The Pomodoro (tomato in italian) is just a tomato-shaped kitchen timer you have to program to let you work undistracted, concentrated on one unique task for 25 minutes. That’s all, and it’s magic. Each period of 25 minutes is called “one pomodoro”. This technique is really easy to learn (no more than one pomodoro), but true mastery takes from seven to twenty days of constant use. First, you have to take your task list and bring it down in small pieces that can be accomplished in 25 minutes or less. Write down your taks on a sheet of paper in order of priority. Don’t take more than one pomodoro doing it. Now, you start your Pomodoro timer, pick the first task and do it. Don’t let anything distract you from your work. If any interruption comes, take a quick note at the bottom of the task list and continue working. Do just one task, don’t try multi-tasking (don’t check email, while you write an essay). When your Pomodoro finishes or you have finished your task (what happens first), take a 5 minute rest. And after that, start over again with the next task. For each 4 pomodoros (2 hours), take a 15-20 minutes rest. Read all the details on the official web page, and download their guide on PDF for free. Do I need really a pomodoro-shaped timer? In the last weeks, some teams at TetuanValley found their competitors (so did we), and these are some of our thoughts on the situation. A basic part in every project, the step to be taken as soon as a good idea comes into mind, is starting a research on what is already done on the field, if somebody already had your idea, if it was executed and how was it carried out. It is at that moment when you start looking for similar services to yours and when you ask everyone their opinion (your idea is not a secret, sharing it is not going to generate competitors and lets you see your idea’s nuances). You have then a list of services similar to yours, but not identic: some provide only certain functions, others provide most of them. But The Competitor finally appears: a service so similiar to the one you had in mind that it provides most of the functions you wanted yours to. Two questions should be made then: Do I have something new to offer? Can we coexist? “It’s The Execution That Matters, Not The Idea”. Your conception about the idea is full of nuances which could lead you to an original solution to the problem. Some functions may appear as basic to your eyes and your competence could have forgotten them. This novel features are the true upthrust, the strongest points on your project. We can think of different brands and services that offer more or less the same functions, adapted to their users’ needs. On our opionion, since you fulfill the standards, you do not actually keep your users; but if your platform is better than others (or has things that your users like) coexistence with competitors is possible. In fact, interaction with competitors is also possible (like sharing users who need the differential functions). Ideas are not immutable so the ways of complementing each other could be found. There is also another competence, that which may appear after your project comes true (especially if your idea is a good one and the market is profitable). The questions to be asked then should be similar: What do I have that they do not? Can we coexist? If the service already exists and works it is because there is a market for it. An interesting related article:Loogic.com: ¿como debe un emprendedor afrontar la competencia? In the beginning, there was the dark… well, in the beginning there was the mess. In the 1970s, a growing electronical music devices industry provided successively more affordable products. This resulted on a series of different linking protocols. Each manufacturer (Roland, Yamaha, Oberheim) had its own standard and interfaces. In 1981, audio engineer and synthesizer designer of Sequential Circuits, Inc., Dave Smith, proposed a digital standard for musical instruments in a paper for the Audio Engineering Society. MIDI (Musical Instrument Digital Interface), was defined in 1982 as an industry-standard protocol, with the joined forces of MIDI Manufacturers Association (MMA) from USA and MIDI Committee of the Association of Musical Electronic Industry (AMEI) from Japan. The MIDI Specification 1.0 was then published in August 1984. The creation of MIDI broke the so-called “wall of sinthesizers”. But the important year for standarized music notation is 1991, with the publication of General MIDI (GM). 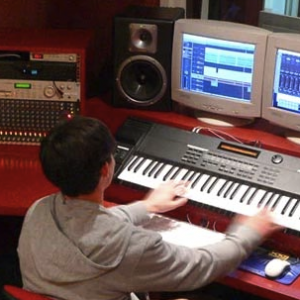 MIDI has gone far beyond notated music (General MIDI, GM), allowing computers, synthesizers, MIDI controllers, etc. to control one another, to synchronize (MIDI timecode) and to exchange system data. It also allows to control stage effects on a concert, like lighting (MIDI Show Control). eXtensible Music File (XMF) describes a set of downlodable sounds in case you want to hear the same music as heard by the composer. In 1994, another standard appeared: NIFF, Notation Interchange File Format. It was mainly used on Music OCR (Optical character recognition) software as the exportable result of scanning a chord on paper. NIFF was abandoned by their creators and sponsors in 2006. In 2004 an open XML-based music notation file format that was the natural replace for GM was presented: MusicXML. It was developed by Recordare LLC, but with not-so-free license free of charge free license and just copyright trademark. MusicXML 2.0 was designed in 2007, including the definition for a compressed file (a nice improvement, because XML text documents are bigger than necessary). By 2010, more than 120 software programs use this format as well as their own one, becoming the de-facto standard one for shared music chords. At Partitur.es we are going to deal mainly with GeneralMIDI and MusicXML, but we are open to cover other formats (Guido, NIFF or whatever our users say they need) on the import/export following the DataPortability ideals. Con el objetivo de meter el turbo a Maki, nos hemos apuntado a la Tetuan Valley Start-Up School 2010, con el proyecto Partiture (que ha sido renombrado a Partitur.es porque el dominio nos pareció gracioso). Cada miércoles durante 6 semanas nos dan unas lecciones sobre como emprender, mejorar la presentación de nuestra startup y nos dan con el látigo para que tengamos una demo presentable cuando acabe el curso. Como deberes fijos nos han mandado publicar un artículo en el blog semanalmente en inglés. Internet is for share. From the beginning of the Internet, the idea was to join together efforts to make things. Now more people know it’s a place where whatever you are or you like, you can find somebody who like the same things as you, or who want to cooperate with you, no matter how far is from you. Music and Internet. Lately we’ve heard a lot of bad news when this two words were together (piracy, crisis of music industry), but also we have heard new ways to improve the experience of discovering music (Last.fm, Rockola.fm or Spotify); and we know there is a huge movement around sharing lyrics and guitar-chords. And also we think, we can to make things easier to the music people with the help of internet. Share music. Well, we aren’t talking about something is completely invented, we are talking about sharing the soul of the music: the chords. Partitur.es wants to become the place where people who love creating music come together, give them tools to share music with their colleagues and also with their fans. Partitur.es also can be used by people in chorals to have a quick repository of their repertory. Our inspirational projects on the technical side are: Slideshare & Google Docs, where people can share their work in an easy way. We think we can do the same with chords, and help musicians an music-related people. We are really excited with this 6-week race to make real our project, thanks to the people at TetuanValley. Para terminar, recomiendo seguir el twitter de @tetuanvalley (y el hash tag #tetuanvalley) y echar un ojo a la lista @tetuanvalley/startupschool-spring10.